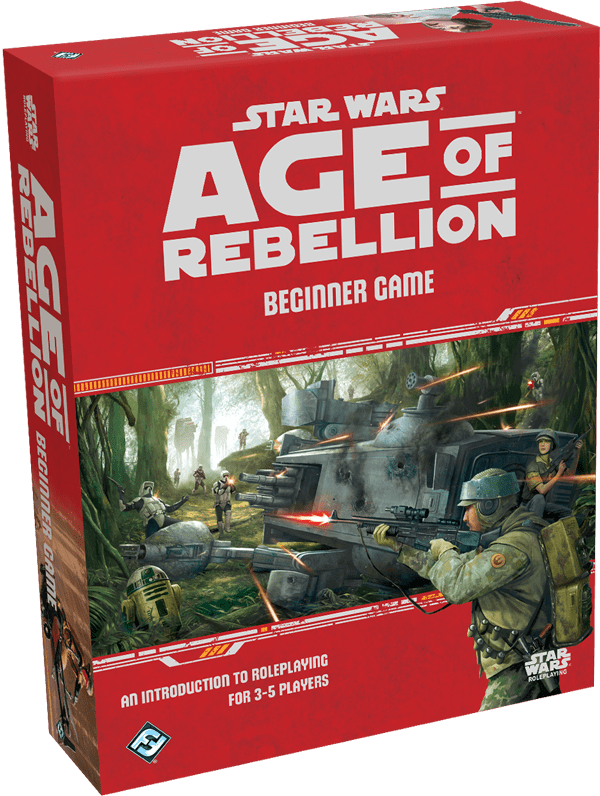 I played the Star Wars: Age of Rebellion Beginner Box today (well, ran it for our usual group). Connor received it as a birthday present and I’d been promising to run it for him for ages. Today was the first opportunity. I tried, while reading the books earlier this week, to keep an open mind about the dice but have to admit to finding them a little confusing while reading (but easier in actual play). That said I don’t see what they add to the game. Indeed, in some cases, they slowed things down while we worked out the result – especially during the climactic vehicle chase. On the other side of the coin, the reduced rolling by the GM meant that the focus was on the players more. I’ll probably run more but only for Connor and his friends. For my usual group I think I’ll go back to the West End Games d6 version.